Delivering technical yet memorable riffage, dramatic orchestral arrangements, a dark narrative and heroic guitar solos, The Abnegation is a promising release for the young band and a worthy installment in The Artisan Era’s record label. Something that we have been reflecting on for a while is the futility of genre markers in an increasingly interpolated music scene. So when I heard Artisan Era’s newest addition, Mordant Rapture, described as symphonic, blackened technical death metal, I was skeptical. This hesitance was unwarranted as soon as I heard the band’s debut EP, The Abnegation. I don’t know if you can be a symphonic band without starting your album with moody strings and keys. However, when it’s done well, like on “Unsightly Beast”, the cliché is forgiven. I appreciate how the piano strokes build in intensity while outlining the riffage that follows in a subtle way, creating cohesion between disparate sections. The half-time fallout that immediately follows the keys is also quite refreshing. Tech-death bands sometimes lose momentum when shifting tempos, but Mordant Rapture only build tension for the impending tech blasts that follow later in the track’s near six minutes. Though pacing a five-track EP does not require as much attention as a full length, The Abnegation flows effectively from piece to piece. After the short Fleshgod Apocalypse-esque ”Withered” ends, we experience “A Plea Above Ashes”. I am hesitant about the inclusion of instrumental interludes on such short albums, but this one shows the band’s commitment to compelling melodies and orchestration – they do not tack on symphonic sections for the sake of checking a box. “Quell The Voiceless” breaks the somber restraint of the previous interlude as perhaps the most straightforward and blackened track on the album, climaxing with some incredibly epic lead work. “Natal Trophies” closes the album with haunting strings and keys that morph into pounding mid-tempo drums. Again, I have to appreciate Mordant Rapture’s ability to create interesting music in various tempos. This lends to memorability and momentum to The Abnegation, which I really appreciate. This final track also closes the dark lyrical concept explored throughout The Abnegation (you can read more about the record’s story here). The Abnegation is a consistently airtight release. 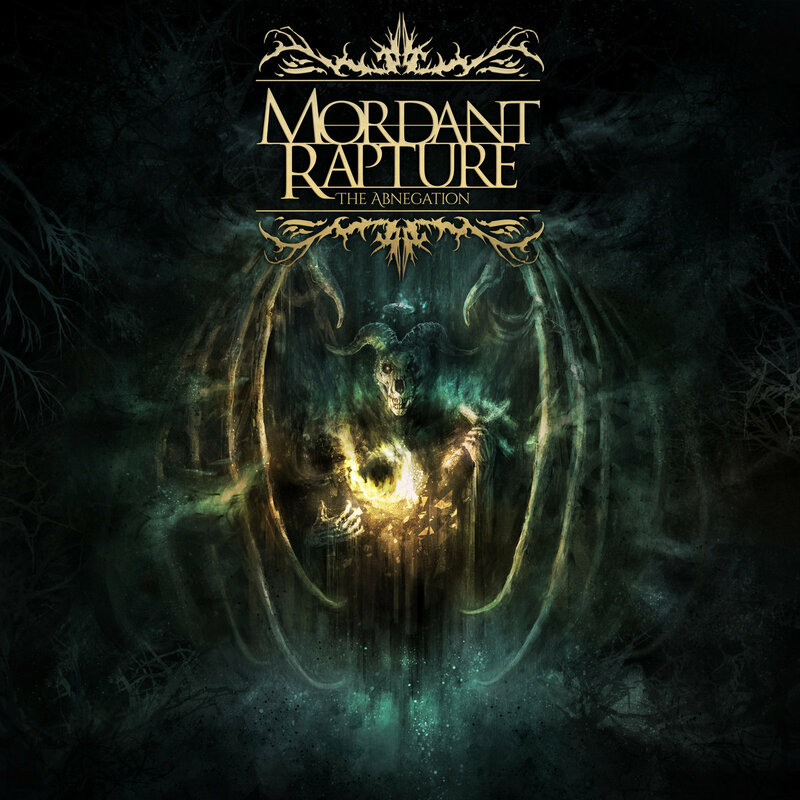 Mordant Rapture demonstrate an ability to create dense arrangements that never feel overwhelming. Instead, The Abnegation segues from track to track effectively, creating memorable moments throughout. This is aided by the mix and master from Cody Fuentes at Rapture Recordings, who manages to create cohesiveness and space between multiple instruments within songs travelling at impressive speeds. Though maintaining this same level of songwriting, performance, production and pacing for an entire full-length will be a new challenge for the young band, I am confident that they will succeed when the time comes.